Why bow ties versus long ones? I have never truly been a fan of traditional ties. First, I have really never had a job where they were required, and second, they feel like an expected accessory. A bow tie, on the other hand, is unexpected and adds personality and garners attention for not being the ‘norm.' A bow tie can dress up or dress down an outfit. Bow ties can be worn with a suit for more formal occasions, with or without a jacket, with a sweater or a button down shirt and jeans…sleeves rolled up, sleeves rolled down. A bow tie is a terrific accessory that adds character and personality to any outfit. They are conversation starters, so you better be prepared to be approached when wearing a bow tie. 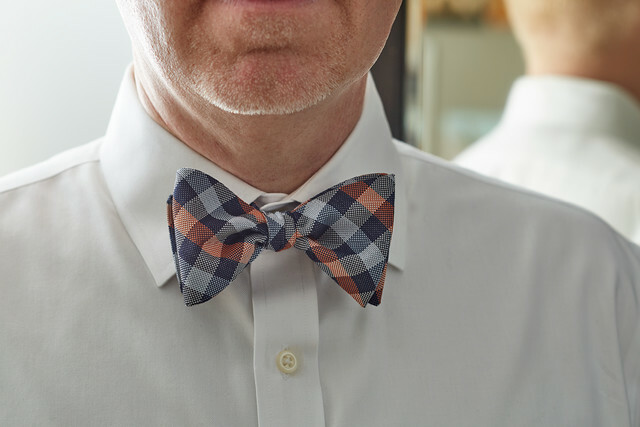 When did you first start wearing bow ties? Our co-founder and Chairman Emeritus, Garrett Boone, has worn bow ties forever. He is a thin, tall gentleman who garners distinction when he wears them. My entire career with The Container Store, I have admired Garrett for many things, but to see him and his bow tie on the dance floor at store openings, casually in and around the office or at a more formal function, showed me that no matter the occasion, you can ALWAYS bring your personality. You don't have to be like everyone else or fit into a mold of what others may want you to be, you can be yourself no matter the occasion and a bow tie allows that. I don't know exactly when I started to wear them…probably in my late 20s and early 30s. My more formal bow ties, those worn with a tuxedo, are kept in the boxes they came in - just like a special pair of shoes. 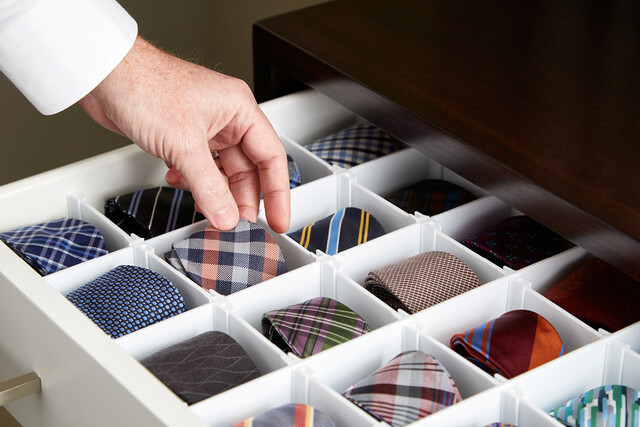 My all-occasion bow ties are stored in a dresser drawer. I used to lay them all flat, but opening and closing the drawer got them all disheveled and disorganized. 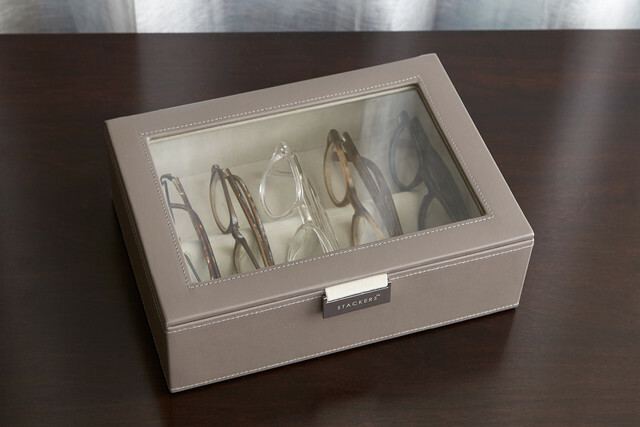 I now store them in the same drawer but have individual compartments for them using our Custom Drawer Organizers, those that you can score and cut to fit to make your own drawer arrangement. So when my son Wyatt was about 14, he decided that he wanted to be a bow tie guy. 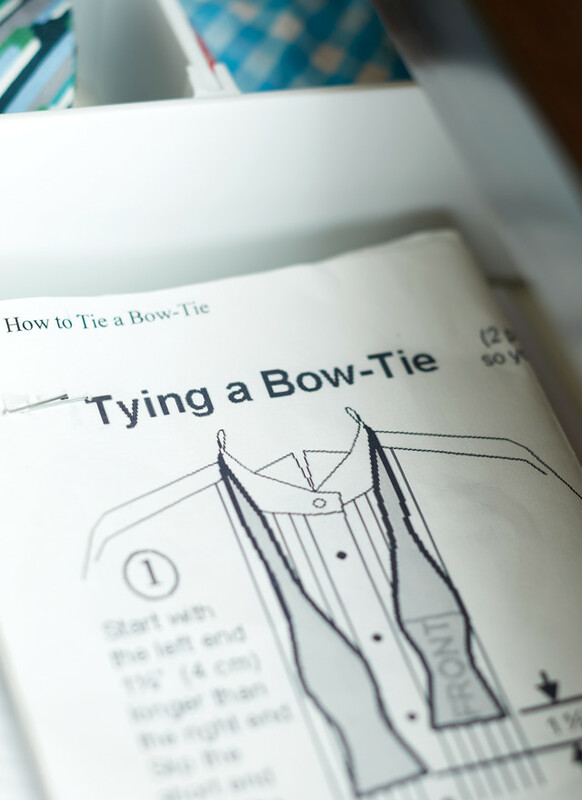 In my angst of having no idea how to tie one, you sweetly gave me a copy of a well-loved guide. Now, at 16, he's an expert! Tell me where that came from. This is a guide that I believe Garrett shared with me from the internet. One that he felt was easy to follow and understand, and I agree. It has illustrations and written directions. I use it every time I tie a bow tie now, it has become my ‘baby blanket.' I truly only need it to remind me how to get started. I have tied a bow tie without it before, but having it there is a confidence boost. The trick to the bow tie is in finding the ‘hole that is not there', as Garrett once told me. When creating the bow you have to push the folded tie through a hole that you have no visibility to - you just make it. The copy of the instructions I use is the same copy I have had for years. It is a bit worn, as it has traveled with me all over. There are a few folds and tears and a couple of stains I am sure. I have shared this guide with others, as I did with Wyatt, when they are interested in learning how to tie a bow tie. It truly is an easy to follow set of instructions. 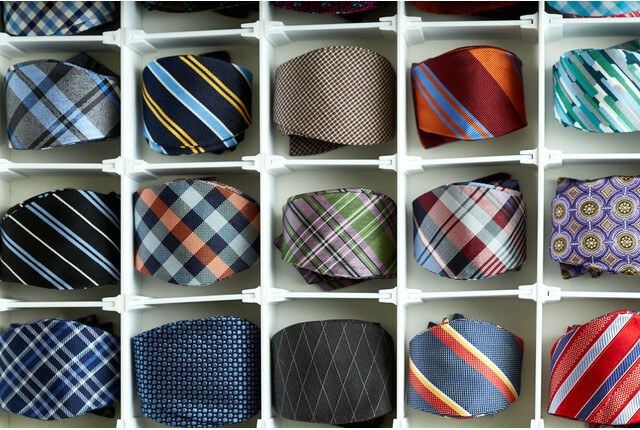 Do you have a favorite bow tie? I don't necessarily have a favorite, but I do have bow ties from Garrett that I favor. When I first started wearing bow ties to our company events, Garrett told me I was treading on his territory, being the only bow tie guy at that time. I told him I was doing so in honor of him and to keep the statement alive. He quipped back that he was not dead yet! Ever since, I have worn a bow tie and he always has commented on the way I tie it, or a tip to share. 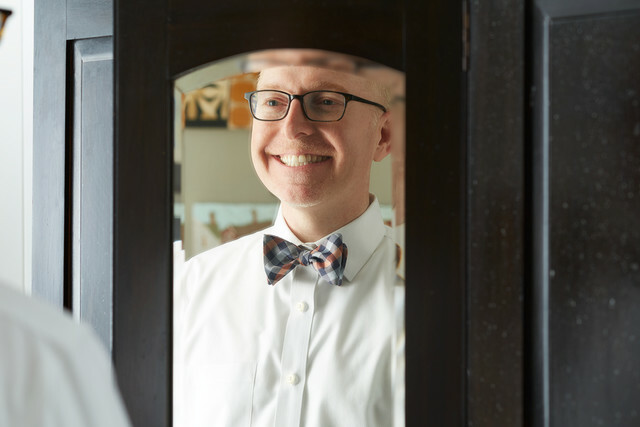 At a store opening a year or so ago, a new employee was commenting on Garrett's bow tie at the Grand Opening party and Garrett proceeded to talk about his bow ties, even giving his to the young man. I joked with Garrett afterward that I have been wearing bow ties in his honor for some time and never had I received one of his. 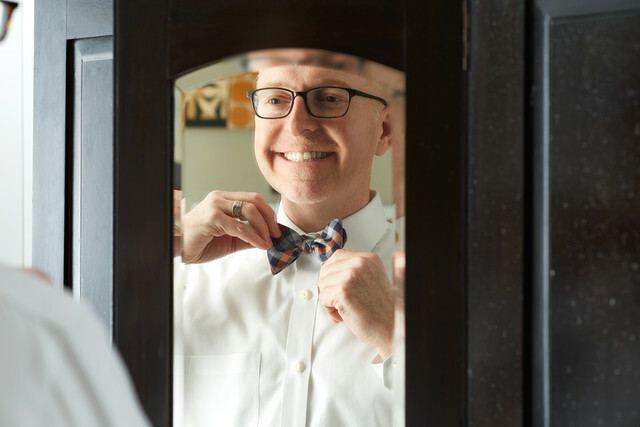 A few weeks later I received a package with three or four bow ties and a note from Garrett saying that I would ‘always be his bow tie guy'…very sweet! 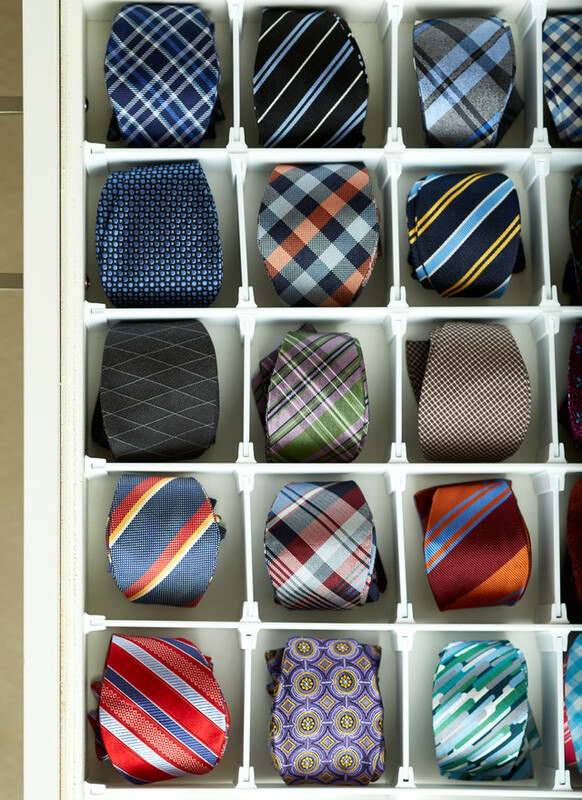 What's your favorite place to shop for bow ties? 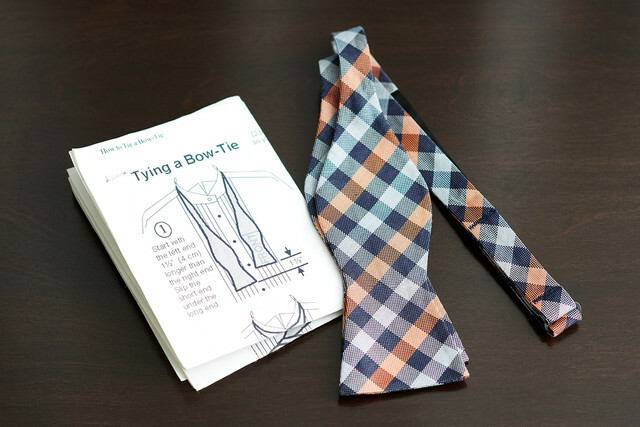 I find myself purchasing ties from a variety of places, JCrew, Nordstrom, Brooks Brothers, etc., but I also like shopping for them online at the Tie Bar, a website started by actor Jesse Tyler Ferguson and his husband to support Marriage Equality. When's the last time you wore a bow tie? What was the occasion? I last wore a bow tie to a family wedding this past December, but am traveling with one all the time, as you never know when the spirit might move me to accessorize! So glasses - when did you start wearing them? When I was younger, I used to admire people with glasses. 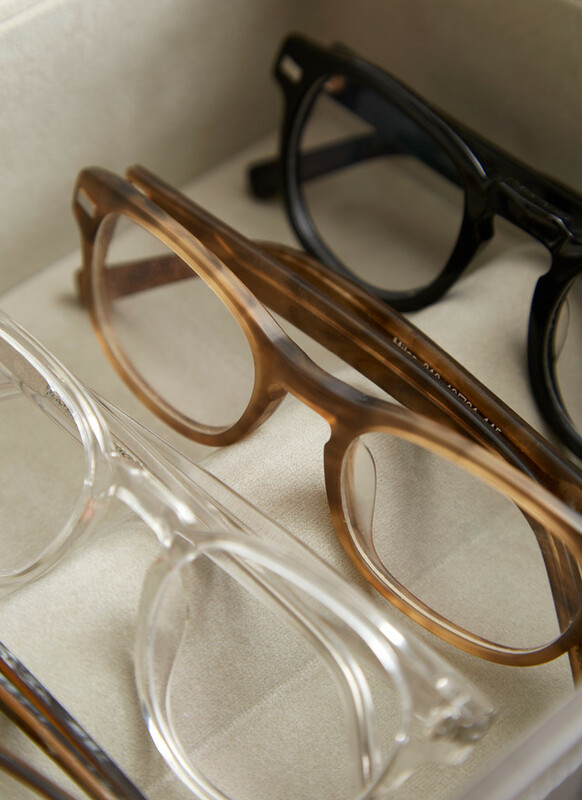 I thought those with glasses were cool and smart…before I had to wear glasses, I would buy and wear non-prescription frames with clear lenses as a fashion statement. As a little kid, I was always trying on other people's glasses, wearing them to see what I looked like. My mom always warned me that I was going to hurt my eyes doing so and low and behold, she was right. I started wearing glasses in Junior High School about the same time I got braces on my teeth. I was so excited to wear glasses - up until High School, then I wanted contacts, but couldn't put them in my eyes by myself - so glasses it was. 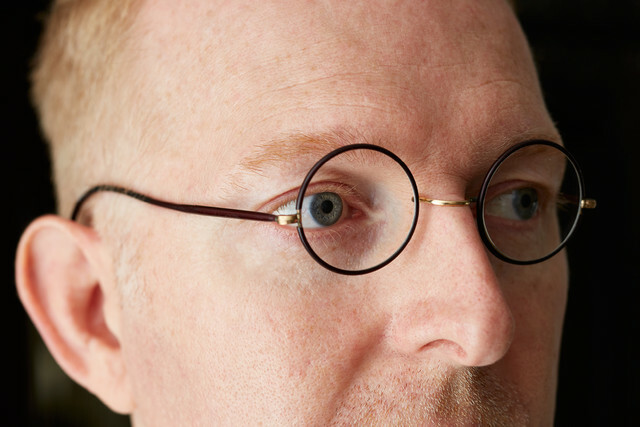 I think glasses are the one accessory that men can wear every day - kind of like earrings on women. So coming from a gal who has worn glasses since she was very little - and who has a very strong prescription - there were some awkward moments associated with glasses. Did you ever experience that? Of course, being called four eyes, and with braces, brace-face was the norm. I do recall a Junior High photo that included a pale-faced Brian, with bright red hair, red turtleneck under an oversized white sweatshirt that had tiny rainbows of some sort…me with my glasses and a big ole grin. I thought I was the coolest! Not related to glasses per se, but I suppose I was pushing boundaries in Junior High School with my fashion sense. I was a big fan of Garanimals as a youngster. I loved matching my clothes. My mom tells the story of my first day in seventh grade, taking me to school and watching me leave the car, walking up to the school all proud wearing my new Kelly green pants and green and white striped Izod polo, new white tennis shoes and bright red hair. As I walked away from the car, she said she worried I was going to have one tough year standing out so much, given that all the other kids were in black and blue denim and blue jean jackets. There was no mistaking her child. I probably have about a dozen pairs of glasses ranging in style and price. 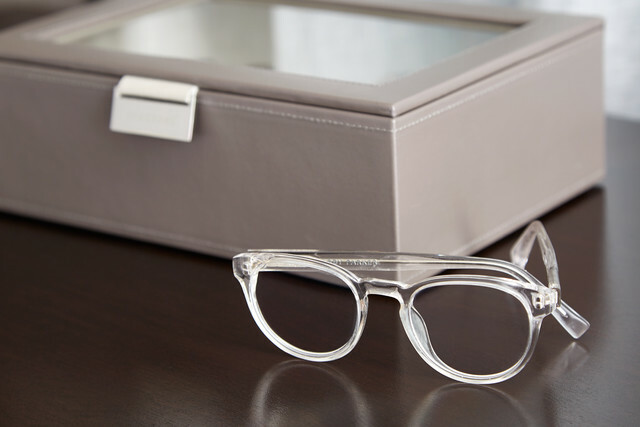 I am a huge fan of Warby Parker and love that they believe eyeglasses shouldn't cost so much, and they donate a pair of glasses to someone in need for every pair that they sell. 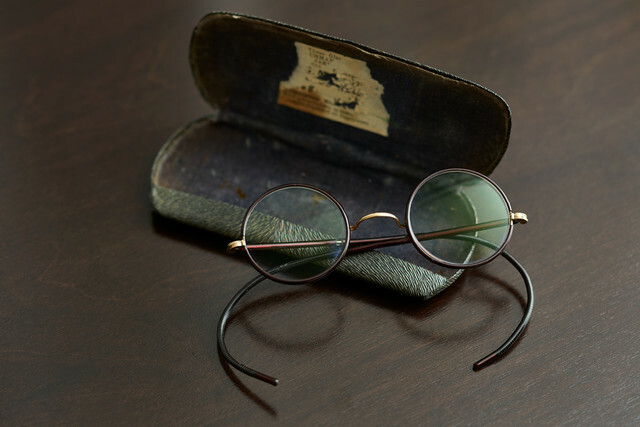 Before buying my first pair of glasses from Warby Parker, I bought a pair for over $500 and have worn them maybe twice - what a waste. 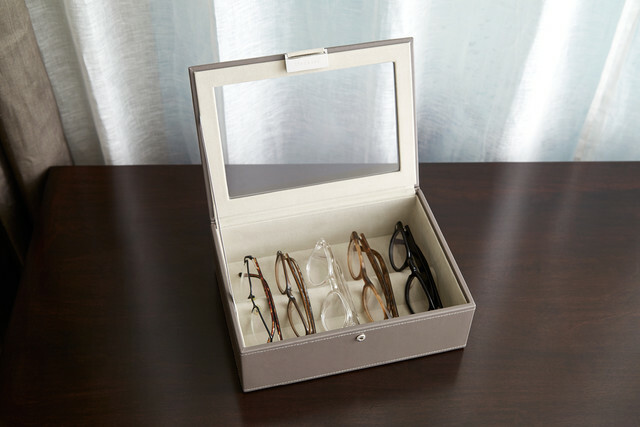 I usually store my eyeglasses in my closet in their individual cases in an Elfa Décor Jewelry/Accessory Tray without the jewelry dividers…they fit perfectly. I do have some that don't have the cases any longer and they sit in an older Milano eye glass storage box, but in the photos they are stored in our new Stackers storage box. I like the bridge within the box to keep them upright and organized, preventing them from being stacked or sliding around in the box. 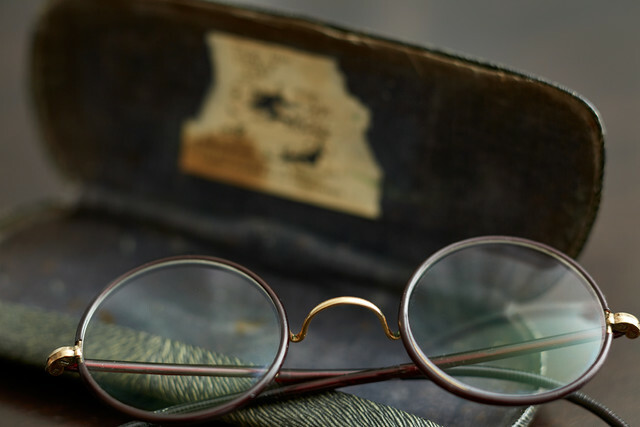 Most of my eye glasses are new, but I do have a couple of pair of vintage eye glasses, most are for display, but I did buy a pair of tiny round eye glasses from an antique store in Australia that I had prescription lenses added to. They came in this really cool vintage case…they are wire framed with earpieces that fit around the ear. I don't wear them often, but I do like them and like to wear them on special occasion. How do you decide which pair to wear? That is a tough question. I think mood has much to do with which eye glasses I wear and when I wear them I have my tried and true tortoise shell pair that I wear most often, but I like to mix it up with my clear glasses or chunkier black glasses from time to time. I probably will err on the side of wearing black for more formal events and my clear glasses for more funky events. I am constantly thinking about the whole ensemble, however and with wearing bow ties, some combinations of bow ties and eye glasses can be a bit much, especially with my hair if I am trying to blend in with the crowd a tad, I will go more subtle but if I am looking to stand out and make a statement, you will see me in more fun glasses and more colorful bow ties. My team at the office has commented in the past that they can tell my mood by my hairstyle, jacked to high-heaven or down and low. I wonder if they have the same assessment given the glasses I wear. Anything Adele, Sam Smith, The Weeknd, Jessie J, Emeli Sande, Jason Mraz, Justin Timberlake, Elton John, Bette Midler, Annie Lennox. Any rules or tips you have about men's accessories? A few - I ALWAYS wear an undershirt. There are very few times I go without one. My dad always wore undershirts. I truly feel exposed without one. I also believe a man should always tuck in his shirt. This has become more relaxed in recent years as there are shirts made specifically to remain un-tucked, but I still feel you should tuck your shirt. A tucked shirt feels more put together and complete. An un-tucked shirt feels a bit unkempt, like you didn't care to finish getting dressed, but it is truly a personal preference and comfort with many guys. But, IF you choose to tuck your shirt in, I feel you should also wear a belt. Belt loops are only meant to be exposed when worn with a belt! Again, it feels as if you were missing something, forgot something or flat out did not care to complete your ensemble. Lastly, your shoes should match your belt. Don't wear brown shoes with a black belt or vice versa. I am going to get a lot of flack from my guy friends for this.